Jay Bernstein started flying in 1995 in the Seattle area. He holds a Bachelor of Science in Aeronautical Science from Arizona State University where he studied a wide range of aviation related subjects including aircraft design, aviation law, weather, aeronautical decision making, and physics. He has worked in aviation for part 135 and part 121 air carriers and brings a wealth of real-world aviation knowledge to our courses. 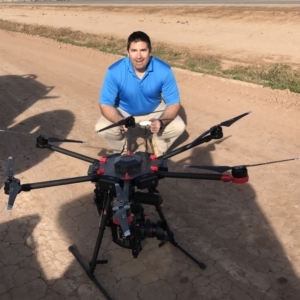 Mr. Bernstein holds a FAA Commercial Pilot License with an instrument rating for both single and multi-engine airplanes, is an advanced ground instructor (AGI), an instrument ground instructor (IGI), airline dispatcher, former instrument flight instructor (CFII) and Commercial UAS pilot.